Summer is a great time for students to hon their skills, take musical risks and learn new techniques. 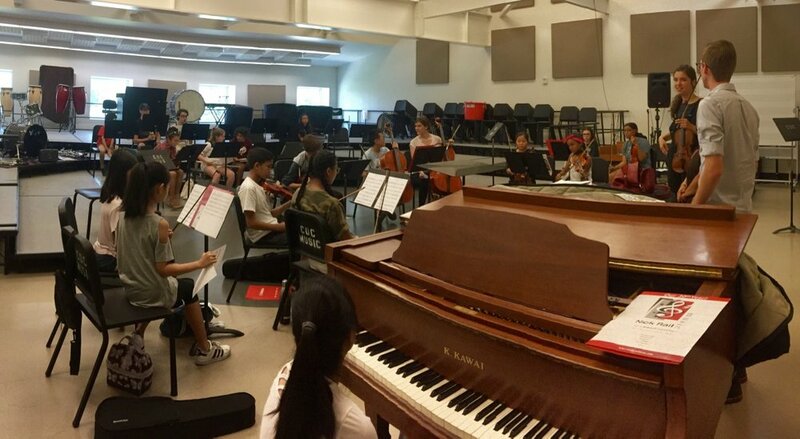 This summer we will combine ORCHESTRA and NOVAE SINFONIA for the two week session. Repertoire will offer growth-enhancing challenges to both intermediate and advanced-level student musicians. Chamber music will be incorporated into this ensemble, as well. Our Preludes Program is perfect for young musicians with one year of experience on their instrument. 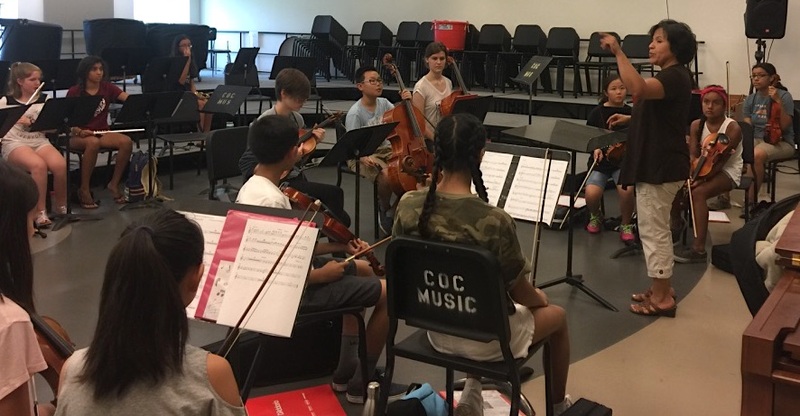 NOVAE SINFONIA - Watch this video of Vibha Rao, 13 year old vocalist, and members of the SCVYO Chamber Ensemble perform a Southern Indian piece arranged by SCVYO Artistic Director, Derrick Spiva, to hear just one of the classical cross-over genres to be explored by Novae Sinfonia musicians. arr. by Derrick Spiva, Jr.
Vibha Rao, Indian vocalist; Will Kinney, violin; Aadya Abhyankar, flute; Rachel Iba, violin. Video by Rosalinda Lovitt. A limited number of tickets will be available for purchase through SCVYO at a reduced group rate. Transportation to the venue is NOT provided It's sure to be a wonderful evening of Music under the Stars! !